Contemplating a kitchen remodel? I’m in the thick of one, and let me tell you, I’ve made some mistakes along the way. If only I’d had HGTV host Scott McGillivray to help me out. Well, thanks to Cambria, now you do—and if you’re in San Francisco on July 28, you can meet McGillivray for yourself. 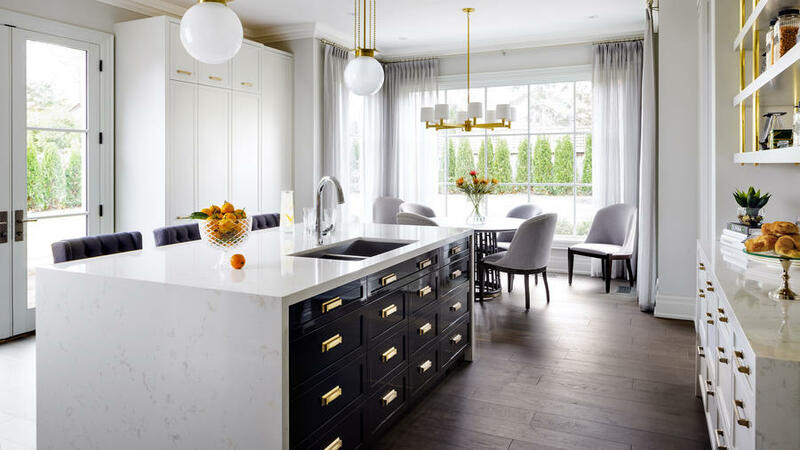 The brand known for its natural quartz surfaces has partnered with McGillivray—the popular HGTV host who’s also a contractor and real estate developer—to launch a free online course aimed at teaching homeowners how to make smarter kitchen design decisions. Called Dream. Plan. Do. – The Inspired Kitchen, the interactive course includes videos and discussion activities to truly bring e-learning to life. Joining McGillivray in the nine-lesson series is interior designer Jane Lockhart, who adds her own valuable perspective on topics such as layout planning, color palette selection, and determining the right kind of lighting. Each installment in the series addresses a key construction or design decision in the kitchen remodel process. Sign up for the free online course Dream. Plan. Do. – The Inspired Kitchen for an easy and engaging way to educate yourself about kitchen design. And if you happen to be in San Francisco on the evening of Thursday, July 28, head to the gorgeous new Cambria Gallery at 7 pm for a meet-and-greet with Scott McGillivray (also known as, yes, “McGillibabe”) himself.